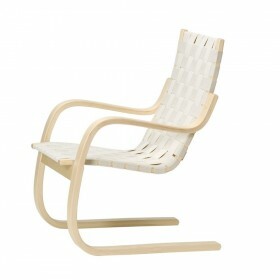 Alvar Aalto design for Artek, 1932. 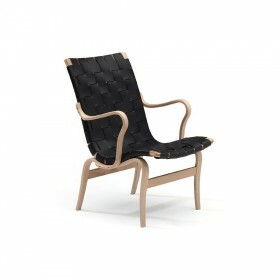 The curved and organic form of the Paimio 41 armchair was designed for relaxing. Its perfect angle, specifically studied for making the most of the sun rays make it the ideal armchair for a patio, or conservatory. 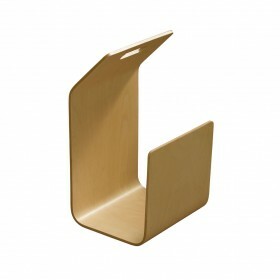 Its wooden design gives it a natural look, and allows it to easily blend into any type of environment. The armchair 400, designed by Alvar Aalto and better known as Tank, is one of the absolute milestones in furniture design of the 1900s. Alvar Aalto designed the Tank in 1936 for the Milan Triennale. 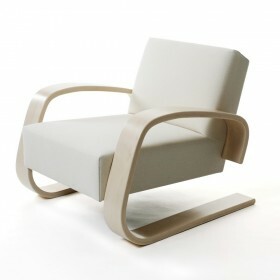 Alvar Aalto design for Artek, 1936.Armchair 406 is robust and comfortable. 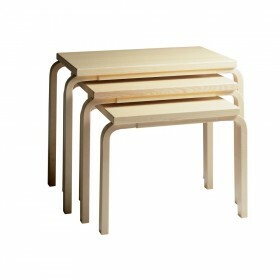 A trio of tables, the Aalto nesting tables are a space efficient way to add both style and function to a room. 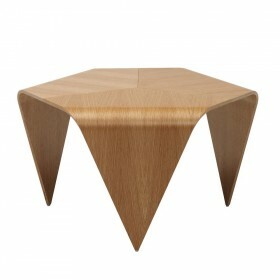 Each nestling perfectly inside one another, these tables serve as a compact side or coffee table or they can be used singularly and spread across a room to provide multiple table surfaces. 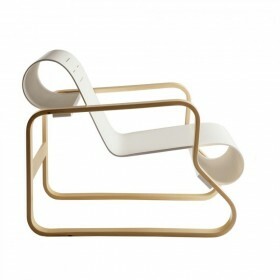 Alvar Aalto design for Artek, 1937. 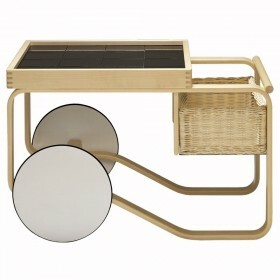 This wooden tea trolley adds a decorative and luxurious touch to a living room or reception area. It can be used as a beautiful side table, decorated with a lamp or plant, or as a trolley to elegantly clear the table after your guests. The tea trolley is mounted on large wheels and is easy to move. 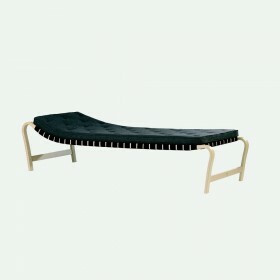 Ilmari Tapiovaara design for Artek, 1954. 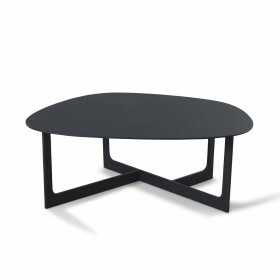 The Domino table is available rectangular or oval. 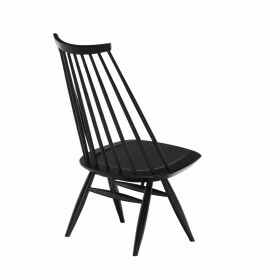 It is one of the most iconic symbols of the 50s in Finland and worldwide. We like the tilt of his case specially designed to offer even more comfort. 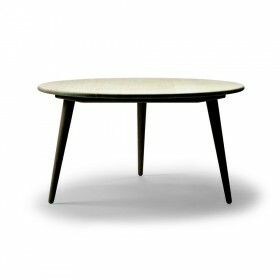 A sharp design by Ilmari Tapiovaara, the Artek Trienna Coffee Table features three pieces that form one solid, smooth table. Harrit- Sørensen and Samson design, 2009. 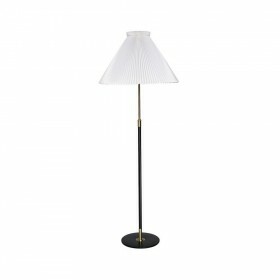 Inspired by nature’s snowdrop flower, the Snowdrop floor lamp, or Perce-neige, combines both high-quality craftsmanship and modern design, to bring a touch of freshness and novelty to your home. Biilmann Petersen design, 1948. 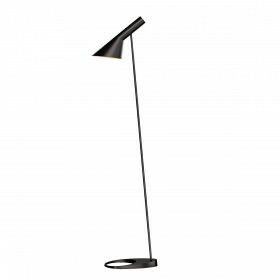 The Klint 343 table lamp is a functional lamp with a classic design. 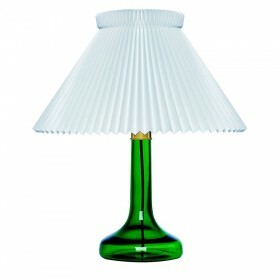 Its stand in green or blue glass brings colour to the room, while its pleated shade lets out soft, diffuse light and creates a particularly serene atmosphere around it. Can be placed on entry tables, bedside tables, living room tables or desks. Designed by HAY. 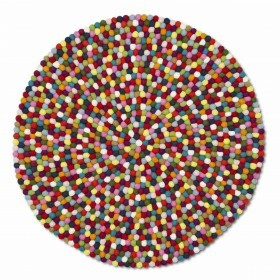 The Pinocchio rug is handmade in Nepal, where every single ball is felted by hand and afterwards put on a string like pearls. Verner Panton design, 1969. 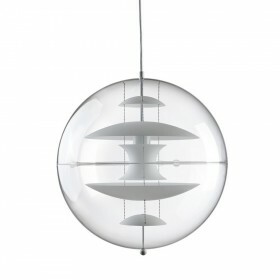 The Panto lamp by Verner Panton is an original pendant with a futuristic design. 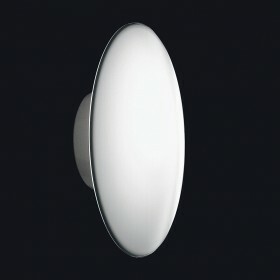 Available in two sizes, it can be placed over a dining room table or counter, for targeted lighting. 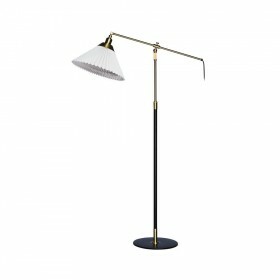 The lamp with its unique, timeless design, will definitely attract attention, whether on or off. Verner Panton design, 1977. 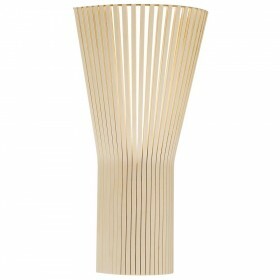 The onion lamp combines quality of light and originality of the structure. 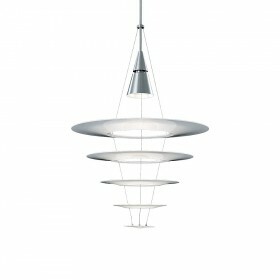 It can be placed on the floor, in a staircase or on a table for soft, dimmed lighting. The indirect lighting, diffused between the strips, is harmonious and brings a sense of lightness to the room. 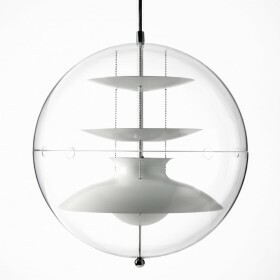 Verner Panton design, 1960. 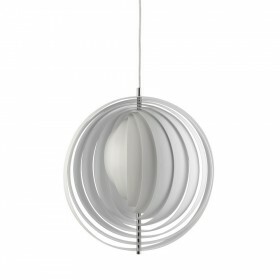 Full moon, new moon or first quarter, the choice is yours with Verner Panton’s moon lamp, inspired by the stars. 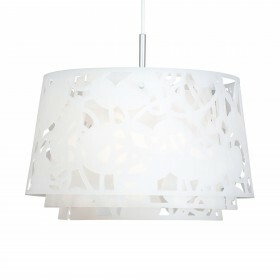 Create magical light and shade effects, in any room of the house: bedroom, living room or dining room. 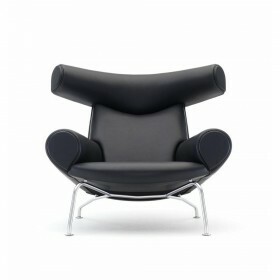 Available in two sizes for extra flexibility. Louise Campbell design. The Collage 600 pendant is composed of 3 layers of acrylic, which laser-cut shapes are carefully staggered in order to create different perceptions of light and shadow depending on the viewing angle, which is reminiscent of the reflection of sun beams through the leaves of trees. Poul Henningsen design for Louis Poulsen, 1926. The PH wall lamp, one of Poul Henningsen’s greatest classics, is highly appreciated for its soft, harmonious and glare-free light. 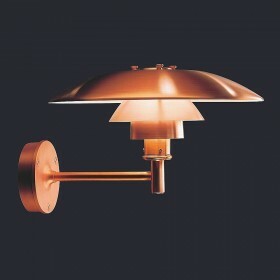 Designed for outdoor use, the lamp will withstand the elements for years to come. Can also be used indoors. Poul Henningsen design for Louis Poulsen, 1926. The PH 3 ½ - 2 ½ floor lamp, in white opal glass, is both modern and elegant and diffuses soft, glare-free light. Its diffuse light makes it ideal for living rooms, either to gently illuminate the room, or as a reading lamp, placed next to a sofa or chair. 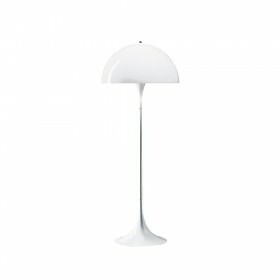 Arne Jacobsen design for Louis Poulsen. 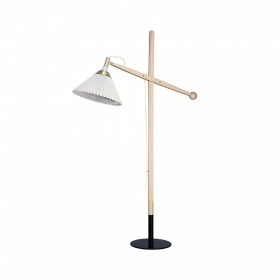 Today considered an icon of Scandinavian design, the AJ floor lamp stands for elegance and simplicity. 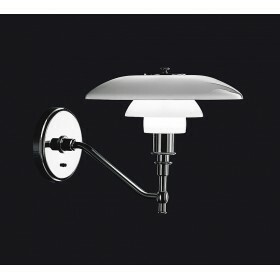 It will easily find its place in a living room, next to a sofa or armchair for precise and controlled illumination. 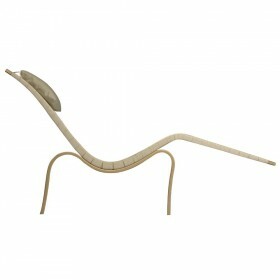 Now available in 8 different colors, it will blend into any type of interior. Bruno Mathsson design, 1936. 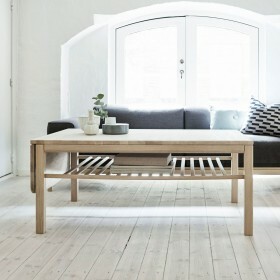 Annika coffee table in beech and laminated veneer (plate). 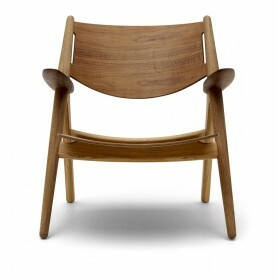 Laminated chair, with or without armrest, in birch (low based seat, short legs) and beech (high based seat). 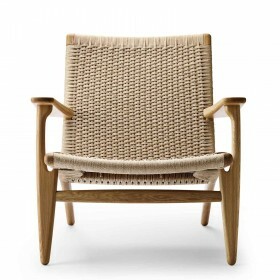 The seat is made of plaited linen webbing. 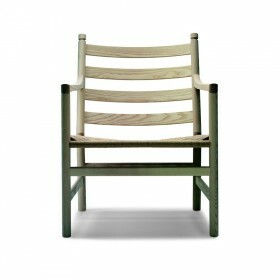 Laminated chair in birch (seat) and beech (legs). The seat is stretched in strips of linen, headrest in feathers and fabric. 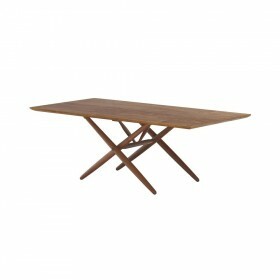 Angulaire 980 coffee table in solid wood, with chromed base. Serie 500 low, solid wood table console with shelf and drawer. O & M Design, 2007 (by Takashi Okamura). 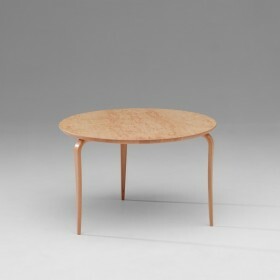 Round table, stainless steel structure and compact laminated top. Designer: Anne-Mette Bartholin Jensen & Morten ErnstNature and organic forms are part of the inspiration of the table series of INSULA. It consists of coffee tables in two different sizes. 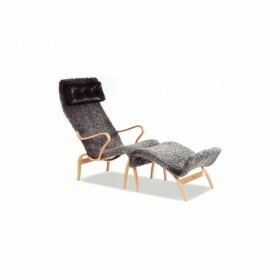 Hans J. Wegner design, 1960. 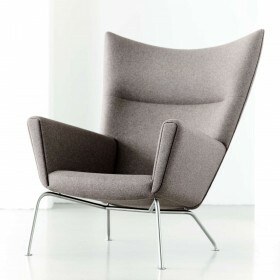 An exceptionally comfortable upholstered easy chair that can be used as a centerpiece in a room or in groups. 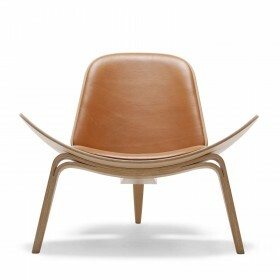 Design Poul M. Volther, 1964. 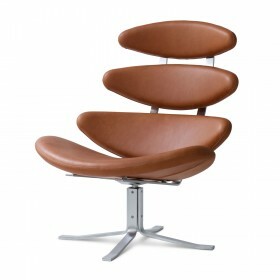 The Corona chair is a 360° swivel chair in fabric or leather. 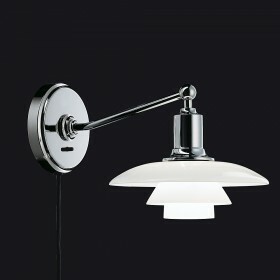 The frame is an alloy of stainless steel and chrome.